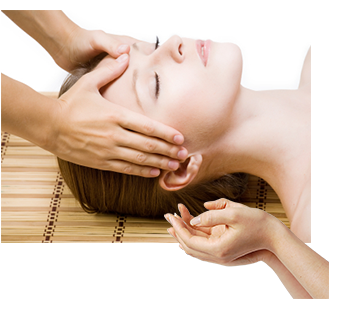 Craniosacral Therapy is a light and gentle touch hands therapy. This therapy enhances the body's natural capacity for healing. For last 25 years Craniosacral Therapy is very effective in treating a number of physiological problems associated with pain and loss of biomechanical, systemic and emotional functions. Craniosacral Therapy Practitioners mainly stimulate the body spiritually to liberate restrictions that can not beaten on its own. Craniosacral Therapy judges and directs restrictions in the craniosacral system. The cranioSacral system made of the membranes and fluid which surrounds and protects the brain and spinal cord, also attached bones in the body. These placenta and membranes extended from the bones of skull, face and mouth and goes down the spine to the sacrum. CranioSacral system plays an important role in controlling the atmosphere in which the central nervous system functions. The central nervous system functions oversee and reciprocate to all which is going in body. Craniosacral therapy liberates the tissues in and around the craniosacral system to improve the continuation of cerebrospinal fluid. Cerebrospinal fluid nourishes, protects and disinfect the central nervous system and improves nerve strengths. Improved flow of Cerebrospinal fluid supply the body with resources permitting it to perform larger and when required to heal itself and restore functions to a better balanced state. Because Craniosacral therapy augment the body's natural healing processes CST is progressively used as a alternative and preventive health cure measures. CST has the strength to maintain a healthy immune system. CranioSacral therapy therapists use carefully tuned palpation ability which is unique in working to harmony with the body's natural rhythms while respecting client individualism.